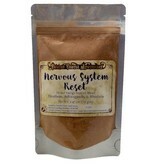 Our house blend Nervous System Reset is a blend of adaptogenic herbs designed to energize you while nourishing your body. Adaptogens are used to normalize imbalances in the body and support your adrenal glands. "Adaptogenic herbs can be most useful in the quest for health in our stressful society." 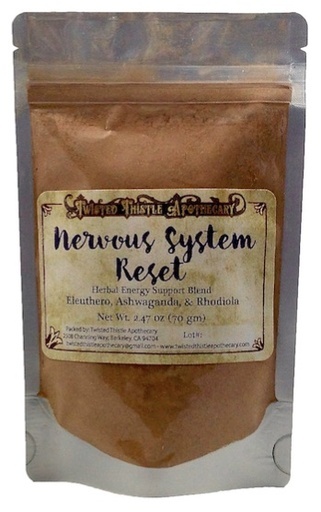 Herbal blend of Rhodiola, Ashwaganda and Eleuthero. BOTANICAL NAME Rhodiola rosea L.